August 15th is National Check the Chip Day! If your pet is lost or stolen, how will you find him? Few things are scarier than having a pet turn up missing. Microchips are a great way to increase your chances of having your beloved family member returned to you safely. They have become an integral part of pet ownership, and for those who have chosen to forego microchips for their pets, we’d like to urge you to reconsider. A study of more than 7,700 stray animals at animal shelters showed that dogs without microchips were returned to their owners 21.9% of the time, whereas microchipped dogs were returned to their owners 52.2% of the time. Cats without microchips were reunited with their owners only 1.8% of the time, whereas microchipped cats went back home 38.5% of the time. (Lord et al,JAVMA, July 15, 2009) For microchipped animals that weren’t returned to their owners, most of the time it was due to incorrect owner information (or no owner information) in the microchip registry database – so don’t forget to register and keep your information updated. Essentially, what this means is that your pet is more than TWICE as likely to be returned to you if he or she is microchipped and the registration is current. Those numbers really are significant! The AVMA has created a FaceBook event for National Check the Chip Day. Make sure you check it out! If your pet is not already microchipped, today is a great day to schedule that appointment. If you’ve already taken this very important step, take the time today to check in with the manufacturer of your pet’s microchip to make sure that his or her registration information is current and correct. 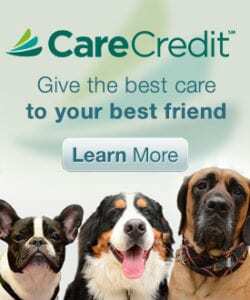 The database that is most frequently checked by shelters and veterinarians is the Universal Pet Microchip Lookup Tool, which was created by the American Animal Hospital Assocation as a way of combining all microchip information from the various manufacturers. However, it’s also important that you check your registration with the manufacturer specifically. Covering all of the bases will make sure that your pet’s information is accurate, which could mean all the difference in the world for your pet’s well-being. For those overprotective pet parents who are nervous about the microchipping process, we get it! While the concept can seem like a scary one, we want to reassure you that microchips will not harm your furry friend. They are inserted using a hypodermic needle, which is no more painful than your pet’s annual vaccinations. No sedation or anesthesia is necessary, and your pet will not require any pain medications afterward. Check out this great video provided by the American Veterinary Medical Association, which provides all the information you need to know about the microchipping procedure and its benefits. This entry was posted in All Posts, animal welfare, animals, avma animal health awareness, Blog, fluffy, friends, furry, humane, keeping your pet comfortable, microchip, microchipping, pet safety. Bookmark the permalink.